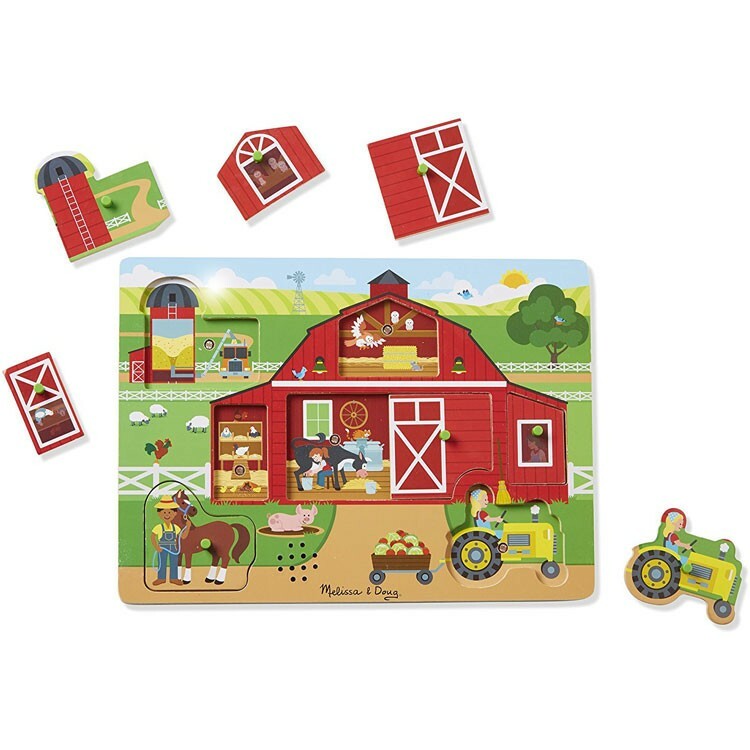 Play with the colorful first sound puzzle, listen to farm animals and machines, see the fun life barnyard scenes, and find what is happening Around the Farm! 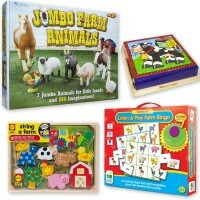 What’s happening around the farm? 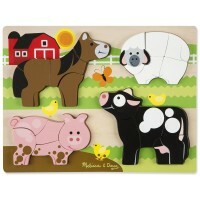 Learning manipulative skills, exploring senses, and playing with this adorable barnyard puzzle, that’s what! 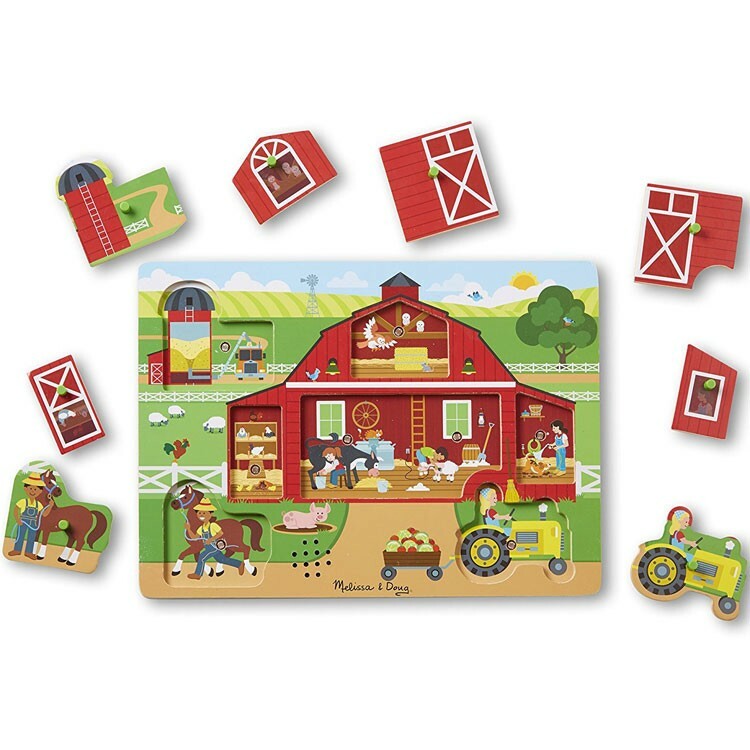 Around the Farm 8pc Sound Peg Puzzle by Melissa & Doug is a new wooden sound puzzle that provides multiple developmental activities. When toddler lifts a puzzle piece, they can see and hear an illustrated farm life scene. 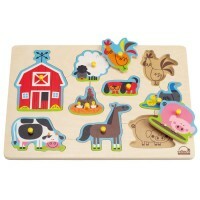 Open a barn door and hear 'cluck-cluck' and see the chickens sitting on their eggs. 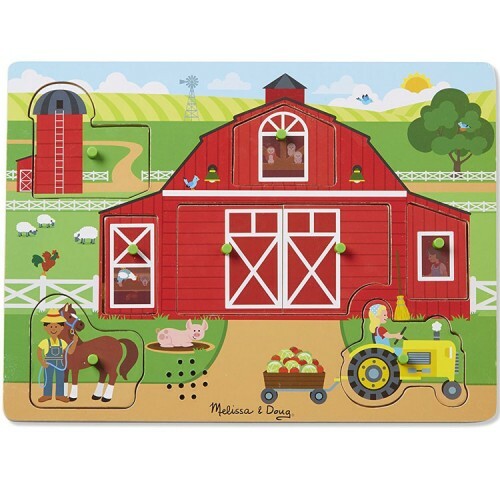 Pull up the farmer with a horse, hear 'neigh-neigh' and see the farmer taking his horse for exercise. 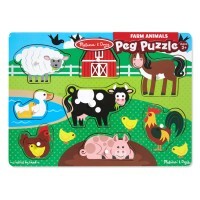 With different sounds, animals and characters, Around the Farm 8pc Sound Peg Puzzle brings different friendly barn animals in one wooden puzzle! 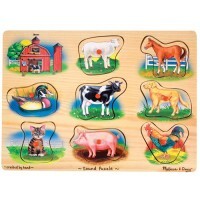 This Educational Toys Planet's first puzzle will moo, baa, bark, vroom, and make more farm theme sounds as your little child plays with it. 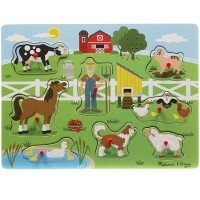 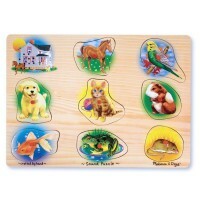 The farm scenes wooden puzzle comes with 8 pegged pieces. 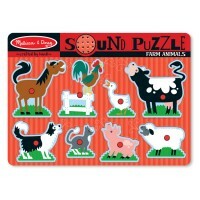 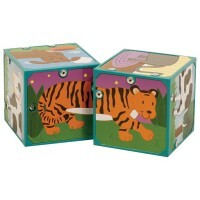 Write your own review of Around the Farm 8pc Sound Peg Puzzle.